Over the past 2 weeks the Rotary Club of East Sutherland has been conducting mock interviews for all the 6th Year students in the area. Between Dornoch Academy and Golspie High School over 60 young people gained some experience in what will happen when they apply for jobs or a place at University. Over the 2 weeks of interviews some 18 local members and business people who are "Friends of Rotary" ran the interviews and gave advice on how to prepare for an interview, how to present yourself and how to research the companies etc that they will apply to. The interviews were conducted in a manner as close to a real interview as it was possible with all students given a verbal and written debrief on their achievements. Both schools in thanking the club emphasised the importance of the exercise which they see as invaluable in ensuring that their pupils are ready for the real world as they get ready to leave school and earn a living. 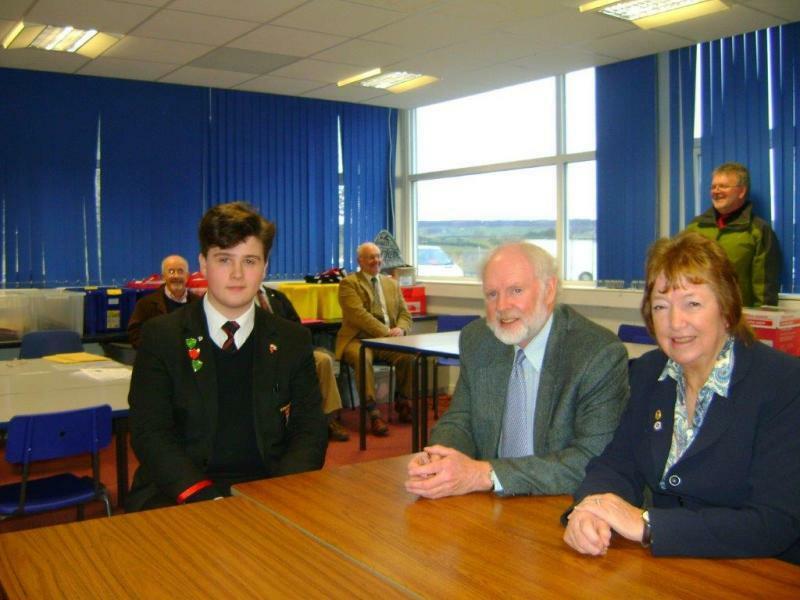 Picture shows Max Bannerman (6th year pupil at Dornoch) with John Chambers and Fiona Risk while John Ford Jonathan Bret Young and Ernie Bishop look on.